There is a wide mixture of existing wedding vows and ceremony presentations available for the traditional ceremonial marriage that ministers or pastors can recite, and many officiates select and present specific ones that curtail to their style of deliverance. 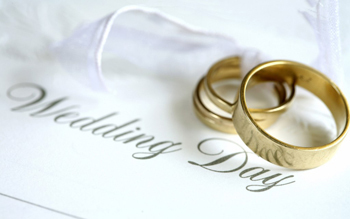 Listed below are some of the more popular ceremony presentations, including traditional wedding vows and ring exchange recitations, commonly used by our ministers. 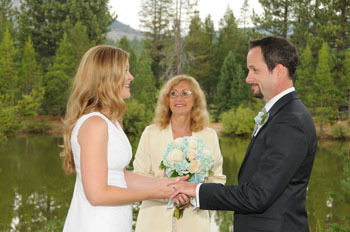 The wedding vow exchange is the most intimate and sacred fragment of the ritual. Therefore, if you prefer to create your own vows, that’s perfectly fine too. It is your special time, and all of our officiates can easily and gladly incorporate your written vows into the formality.